Official Charts Company reports big rise in digital album sales | What Hi-Fi? Our appetite for buying music online continues to grow, with digital album sales topping 21 million for the year to date in October, beating last year's total even before the Christmas sales season begins. Digital downloads now account for more than a quarter of total album sales, up from 17.5% in 2010, despite a fall in overall music sales, reports The Guardian. Figures released by the Official Charts Company for the three months to the end of September showed digital album sales were up 24% on the same period the previous year to 6.1 million. 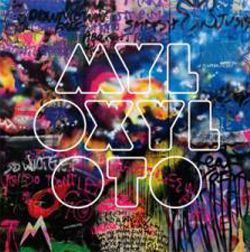 Coldplay's new album, Mylo Xyloto, broke the record for first week digital album sales last month with 83,000 downloads. The band refused to release the album on Spotify and other music streaming services. The biggest-selling digital album remains Adele's 21, which has sold almost 670,000 online copies to date. That's nearly twice as many as Lady Gaga's The Fame. "It's encouraging to see such strong sales in the digital albums market before the Christmas gifting season gets properly under way," says Geoff Taylor, chief executive of the BPI.